Learn a little about the amazing Great Wall of China with your children, and tie in your learning with our activity suggestions, printables and stories. 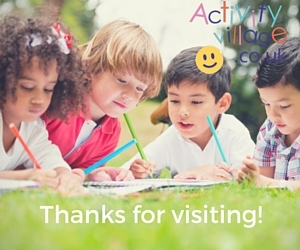 A mix between a craft and an activity, this "Great Wall" encourages children to think about what they value in their friends and family. The Great Wall of China was built over 2000 years ago and is the longest man-made structure ever built. It is an instantly recognisable structure which many people are familiar with, though often know little about. 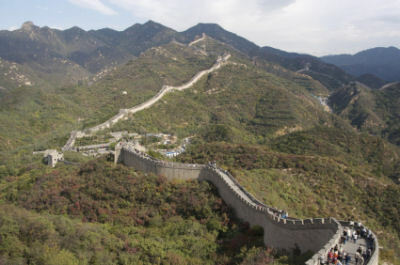 We have gathered below some of the most interesting facts about the Great Wall including when the wall was built, how long the wall is, and if it is visible from the moon. The Great Wall of China is approximately 6000 kilometre long. However if you were to measure all the individual structures and changes to the wall made over the centuries, it is believed the final measurement would total over 50000 kilometres! It is thought that the earliest wall was built under the rule of Emperor Qin, who successful unified parts of China around 221 BC. 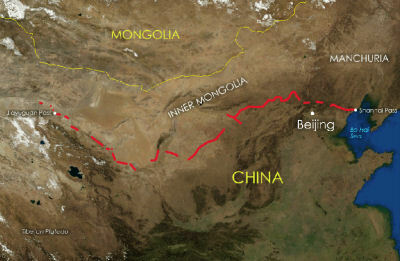 Previously, individual states had built their own wall defences, but now Emperor Qin sought to connect the walls to provide defences against northern invaders. He ordered the building of the Wan Li Chang Cheng" as it was known in China. This translates as "the ten thousand li Great Wall". A "li" is a Chinese length unit. 2 li are equal to 1 km. Read (or print) the famous story Meng Jiangnu Weeps. Most of the original wall no longer exists. 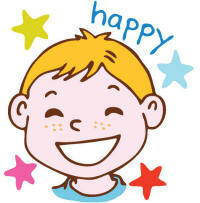 Over the centuries that followed each dynasty did more work to maintain and develop the wall. The Ming dynasty (1368-1644) carried out a major rebuilding project extending the Great Wall, which resulted in a 6000 kilometre wall which is what is mainly in evidence today. Can you imagine how difficult it was to build the Great Wall of China? Look at the terrain that it covers! How did the workmen transport the stone? What techniques were used to build on such steep hillsides? This photo, taken in the early morning, shows how beautiful and astounding the Great Wall can look, and what a marvellous feat of building it was. It is believed that the main purpose of the Great Wall was to protect China from invasion or attack by northern tribes (such as the Mongols). It is actually a myth that the Great Wall can be seen from the moon. However, it can be seen from space, and images have been returned from low-level space vehicles including the space shuttle. The photo on the left is from NASA, and clearly shows parts of the wall. 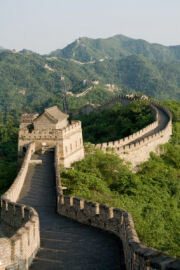 The original wall was ordered by the Emperor Qin over 2000 years ago. The wall was constructed by labourers comprising soldiers, common people and criminals. The wall was built of different materials over the centuries. The earliest wall was largely made of compacted earth, surrounded by local stone. Much use was made of local material to keep costs down and enable building to continue quickly. The later Ming wall was largely made of brick. 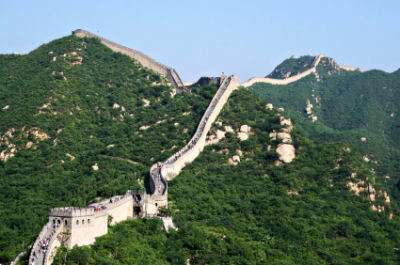 It is estimated that up to 1 million people died while constructing the Great Wall! In places the Great Wall is 25 feet tall. It ranges from 15 to 30 feet wide. This is a map of The Great Wall of China as it was in the Ming Dynasty (1368-1644) when the wall was rebuilt and extended. Most of the Ming Dynasty wall can still be seen today. The Great Wall included a series of watch towers and forts which could house soldiers, grain and weapons. Beacons could enable the passing of messages quickly along the wall. Special weapons were developed to enable the wall to be defended against attack, replicas of which are on display on the modern day wall. At one time it is thought that up to 1 million soldiers were stationed along the length of the wall! The Great Wall was built over many years. It is believed the original Great Wall was built over a period of approximately 20 years. The Great Wall which is mainly in evidence today was actually built during the Ming dynasty, over a period of around 200 years. 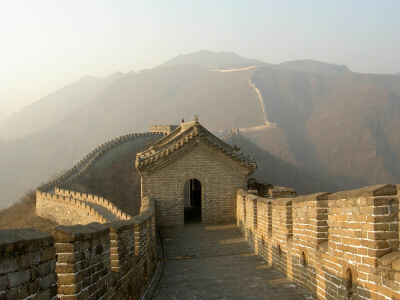 The original Great Wall was extended and developed until the rule of the Ming Dynasty. When the Ming rulers were overthrown in 1644, no further work was done on the Wall until recent years in attempts to preserve parts of the structure. 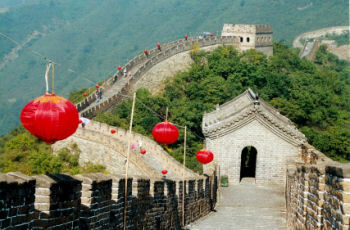 Today many tourists visit the Great Wall of China, and walk along it. You can see some in the photo above. How many people did it take to build the Great Wall of China? Many thousands of people were involved in the building of the wall. From records it appears that 300,000 soldiers and 500,000 common people were involved in constructing the original Great Wall under Emperor Qin. Many people lost their lives during this work and archaeologists have discovered many human remains buried under sections of the wall. Chinese nursery rhymes have similar themes to our traditional nursery rhymes, and one of my kids' favourite childhood songs appears to have derived directly from the Chinese original. I expect you will spot it too! When I was young, growing up in Hong Kong, the sight (and sound) of Chinese fortune sticks like these being used at temples was very familiar and exciting to me. Bundles of these sticks were placed in jars and gently shaken until a few sticks stuck out above the rest, or fell out.